Ac Milan have already made several important signings this summer, however injury issues and the lack of defensive options that seemed evident on Milan’s latest two matches in which they failed to get the three points. 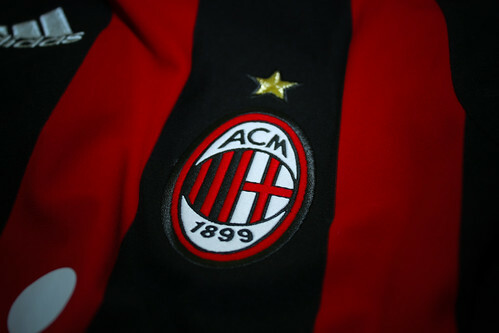 Those two bad results have made the Rossoneri becomes aware of the difficulty that they may have in the second part of the season and planed in making some more signings this January, however the fashion capital side aren’t preparing to cash out unreasonable cash for their targets. This decision was revealed by their vice president, Adriano Galliani, when being asked about the latest updates regarding the negotiation for some of their reported targets such as Andrea Lazzari, Domenico Criscito and Reto Ziegler. Answering to the press, Galliani said that should the owner of those players aren’t willing to reduce their asking price, Milan might be pulling the plug on the negotiation as the transfer guru already voiced his pessimism in acquiring those transfer targets. Neither Criscito nor Ziegler will come to Milan because there is no deal financially, It’s only a problem of costs, but for the moment we consider the demands of Genoa and Sampdoria to be excessive, Galliani said. Despite voicing his pessimism about the chance for Ziegler and Criscito’s arrival, Galliani isn’t denying the possibility of another arrival that will follow Antonio Cassano in becoming the Rossoneri’s new signings this winter. Unfortunately, as always the vice president isn’t willing to make further confirmation on whether they already looking for another target or make a final attempt in getting the targets above in the last days of the market. Surely many Milan fans are aware of Galliani’s tricky statement that were usually being made to avoid too many press speculation just before the deal gets anywhere near conclusion. Just as many knows, the vice president did the same kind of confusing statements before finally concluding the deal for the likes of Zlatan Ibrahimovic, Robinho and also Antonio Cassano. Looking at the fashion capital side’s trend this season, it would be interesting to see who would be the new signing that the Rossoneri will take this winter as the player could be another important name in the footballing world.